After a summer of waiting and wondering, Bo Horvat has signed a brand new contract with the Vancouver Canucks. And no, it’s not a bridge deal as a report last week suggested. Yes, this time it’s official. 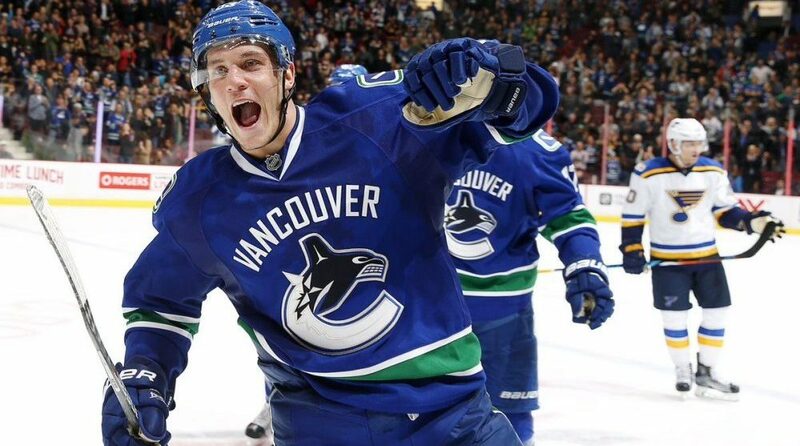 The Canucks announced they have signed Horvat to a long term, six-year deal worth $5.5 million per season. The deal matches what Jonathan Drouin received from the Montreal Canadiens earlier this summer. Horvat is now the fourth-highest paid player on the Canucks in terms of average annual value, behind only the Sedins ($7 million each) and Loui Eriksson ($6 million). Horvat is a 22-year-old centre with a bright future. In just his third NHL season, he led the Canucks in scoring with 52 points. He appears to be a captain in waiting, and should get better with age. Just how good, remains to be seen. The Rodney, Ontario native was projected to be a two-way second line centre when he was drafted in 2013. His early offensive success in the NHL could suggest that becoming a bonafide No. 1 centre isn’t out of the question though. The only critique for this contract is that the dollar figure is a little high. Comparable player contracts suggested Horvat deserved about $5 million per season. Blue Jackets centre Alexander Wennberg, who was drafted the same year as Horvat and has put up nearly identical numbers, received a six-year deal worth $4.9 million per season last week. Still, getting their best young player signed long term should be a relief for Canucks management. It took all summer to get it done, but they should be happy to have Horvat in the fold for at least six more years.